Let’s all take a moment and pour one out metaphorically for Rosetta, the pioneering spacecraft that gave our newly spacefaring race its first comet landing. The orbiter performed its final task early this morning, making a controlled crash into the comet’s surface, destroying itself in the process but gathering valuable data down to the last minute. This was a risky, fascinating and very successful mission, despite the hard landing and subsequent loss of the Philae lander. Making a rendezvous with a comet is as difficult as it is awesome, and today is the end of 12 years of hard work by the team at the European Space Agency. The final image you can see up top; above is a mosaic of the area where it came to rest. And below, you can hear spacecraft operations manager Sylvain Lodiot announce the formal loss of signal. 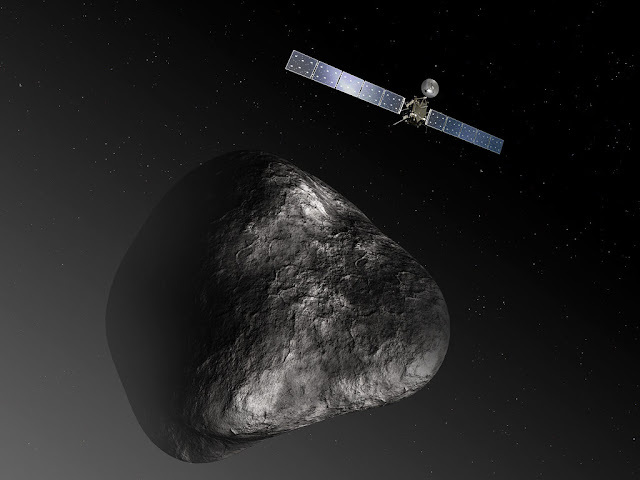 “Thanks to a huge international, decades-long endeavour, we have achieved our mission to take a world-class science laboratory to a comet to study its evolution over time, something that no other comet-chasing mission has attempted,” said the ESA’s director of science, Alvaro Giménez, in the blog post summarizing the mission’s conclusion. “The mission has spanned entire careers, and the data returned will keep generations of scientists busy for decades to come”.